The leader of Russia’s Communist Party has said that the death of Venezuelan leader Hugo Chavez may be part of a broader US plan to kill off its left-leaning Latin American opponents. “How did it happen that six leaders of Latin American countries which had criticized US policies and tried to create an influential alliance in order to be independent and sovereign states, fell ill simultaneously with the same disease?” Zyuganov said in comments reported by Russian state television. Chavez’s death from cancer “was far from a coincidence,” the leader of Russia’s second-largest political party speculated. Zyuganov called for an investigation under “international control” into the Venezuelan leader’s death. Among other left-wing Latin America leaders diagnosed with cancer are Brazilian President Dilma Rousseff, Paraguay's former President Fernando Lugo, and Luiz Inácio Lula da Silva, the former leader of Brazil. Chavez died on March 5 at the age of 58. 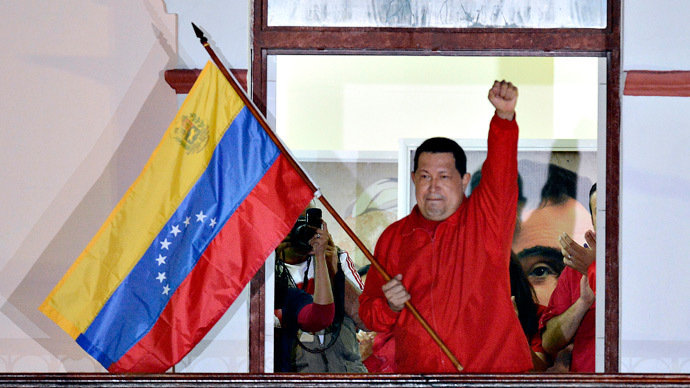 The United States denies that it played any part in Chavez’s death. "We completely reject the Venezuelan government's claim that the United States is involved in any type of conspiracy to destabilize Venezuela government," Defense Department spokesman Lt. Col. Todd Breasseale said in response to Caracas’ assertion. Chavez himself - who never missed an opportunity to berate the United States, even calling former US President George W. Bush “the devil” - speculated that the US may have acquired the ability to infect ‘undesirables’ with a fatal illness. "Would it be so strange that they've invented the technology to spread cancer and we won't know about it for 50 years,” he asked a press conference in December 2011 after it was announced that Argentinian President Cristina Fernandez de Kirchner had thyroid cancer. Emphasizing that he was wary of making "rash accusations," Chavez nevertheless said the incidences of cancer among Latin American leaders were "difficult to explain using the law of probabilities." Castro himself was the target of several US assassination plots, according to declassified documents released by the CIA in 2007.